The human body is a wonderful complication. It is made of so many parts, each of which plays a vital role for the body’s normal functioning. One of them is the nervous system, which is responsible to coordinate actions and to transmit nerve impulses or signals to and from the different parts of the body. Generally, nervous system is involved in a lot of activities in the body that include sensing the heat and cold, regulation of breath, and control of muscles. 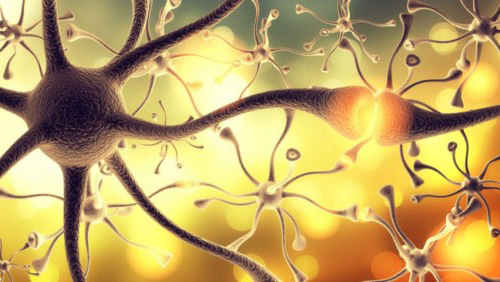 The nerves in the body are classified into three types: autonomic, motor, and sensory. The autonomic nerves are involved in the involuntary and partially voluntary activities like digestion, blood pressure, and heart rate. Motor nerves, meanwhile, control your action by the transmission of information from the brain and spinal column to the different muscles in the body. Lastly, the sensory nerves reverse or send back the information from the muscles to the brain or spinal cord and results to feeling of sensations like pain. The importance of the nerves or the nervous system in general implies the great risk to one’s health if these are damaged or if they produce pain. A nerve pain can thus affect a person’s quality of life. Nerve pain may range from a tingling sensation to pinpricks, electric, or burning ones. This pain may limit your actions because of the debilitating pain. The symptom likewise varies depending on which nerves are affected and in which area or part of the body. Those who have difficulty in sleeping or have high level of anxiety or depression may be suffering from nerve pain considering that many people experience unexplained nerve pain. This condition is suffered by millions around the world. In this case, it is difficult for them to answer what does nerve pain feel like. Your nerve pain may also be a symptom of a more serious condition. Among these are diabetes, shingles, physical injuries, and cancer. Thus, it is just important to learn more about nerve pain, its type, and remedies to treat the same. This article will discuss the concept of nerve pain in relation to which part of the body is affected. Nerves can be found all over the body. Having grasped the role and importance of the nervous system in a human body, it is time to address the different types of nerve pain that one may experience. This is important primarily because the best and proper way to ease or treat the nerve pain depends on which part of the body is affected. The shoulder is a common ground for body ache or pain. 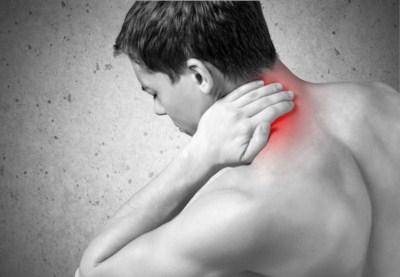 Shoulder pain may be caused by an injury, arthritis, and other medical conditions. One of them is a shoulder pain caused by a pinched nerve, which brings discomfort and may result to the inability of a person to perform some of his or her activities. A shoulder nerve pain as a result of a pinched nerve or nerve compression may either be temporary or long-lasting depending on the cause and other attending factors. A pinched nerve occurs when there is too much pressure applied on the nerve or the tissues that surround it including the muscle, bone, and cartilage. There are several possible causes of pinched nerve on the shoulder. The most common is the repetitive motion thereby adding pressure and compressing the nerves. Another cause is if you hold one position for long periods especially when you sleep. It is most common in narrow places of the body where there is only a little soft tissue that protects the same. While it is necessary to undertake a physical examination to determine if a pinched nerve is causing your shoulder pain, there are some signs that could tell you if it is a compressed nerve or not. Usually, the pain from a compressed nerve is only on one side of the shoulders and is sharp as compared to the dull ache when you tend to overwork your muscles. Your shoulder and arm muscles also weaken or feel numb. In other cases, the pain may extend from the shoulder down to your arms. To prevent the situation from getting worse, it is advised to visit your doctor. There will be tests to be conducted so it is important to inform your doctor about some details. Your doctor may require physical therapy or prescribe medications. Over-the-counter pain relievers and hot or cold compress may provide partial help so as to alleviate the pain. It is also just proper to give your shoulders a rest. Another common complaint by many people is pain in the neck area. 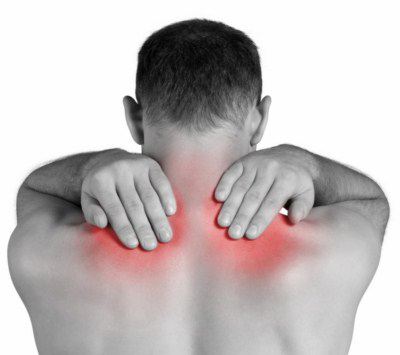 Just like shoulder pain, a neck pain is primarily caused a pinched nerve. The pinched nerve means an injury or damage on the nerves, which may be a result of compression or overstretching of the nerves. A pinched nerve in the neck is otherwise referred to as Cervical Radiculopathy, wherein the pain goes beyond the neck and even reaches the arms and hands. This is more common among athletes and heavy laborers as well as those who sit for a long period of time. The pain from a pinched nerve may radiate from the neck down to the arms and hands. Among its symptoms include weakness and numbness, burning, or a prickling sensation. While the pain may go away in a couple of weeks even without treatment, it is still highly recommended to pay your doctor a visit. This is especially so for the reason that some pinched nerves can lead to more serious and permanent condition like Peripheral Neuropathy. As for the neck, the pinched nerve may be caused by herniated discs where one of your cervical discs slips out of place. It could also be caused by Spinal Stenosis, degeneration of discs, and bony growths. Apart from the medications that the doctor may require, the inflammation brought out by the pinched nerve may be alleviated using cold or ice. Stretches or exercise may also help provided it has been approved by the doctor. Moreover, getting a good rest will bring relief for your neck. As it has been discussed above, the pain in the arms caused by nerve pain is usually in the form of a pinched or compressed nerve. This may either be a damaged or injured nerve. Like the shoulder and neck nerve pain, the compression may be in the cervical spine. Radiculopathy may be felt in only one arm and occasionally in both arms. Taking of medications like over-the-counter pain relievers as well as application of ice may help ease the pain. However, the nerve pain in arm may be more than a pinched nerve. The pain in your arm may be a result of an injured radial nerve. Radial nerve is a peripheral nerve of the upper limb that runs down the underside of the arm, controlling the movement of the triceps muscle, and down to the hands for the extension of wrist and fingers. The injury of your radial nerve may a be a result of trauma or infection that causes the numbness, tingling, or burning sensation in your thumb and fingers. Other symptoms of radial nerve pain are the difficulty in straightening the arm or inability to extend or move your wrist and fingers. While the most common cause is breaking or overusing of the arm because of work and sports, there are still other possible causes like the fracture of the humerus, sleeping with the upper arm positioned awkwardly, and constriction of the wrist. This can be treated by medications, but the best and permanent way to cure the same is by treating the underlying cause itself. Apart from that, a pressure on the radial nerve may also bring Radial Tunnel Syndrome. This happens when the radial nerve is squeezed when it passes through the radial tunnel formed by muscles and bone near the elbow. Constant twisting movements of the arm and even a direct blow on the elbow may contribute to the radial tunnel syndrome. Other than the radial nerve pain, the pain in your arms may be caused by a problem with your ulnar nerve. The ulnar nerve refers to one of the three main nerves in the arm that travels from the shoulder to the hand. This nerve gives sensation or feeling to the little finger and half of the ring finger as well as the small muscles in the hand and bigger muscles in the forearm. It is constricted in some parts, but the most common place of its compression is behind the inside part of the elbow. This condition is called the Cubital Tunnel Syndrome, the symptoms of which include numbness, tingling of the hand, and muscle weakness. While the cause of the Cubital Tunnel Syndrome is not known, it might be the compression that lets you experience an ulnar nerve pain. Compression means that there is high level of pressure that you put into the nerves in your elbow. It may be caused by a long-term pressure on the elbow like in cases where you keep your elbows bent or you repeatedly bend for a long period of time. The same happens when you lean on your elbows or there is a direct blow to the inside of the elbows. A fracture or dislocation of the elbow may likewise damage the ulnar nerve so you suffer from an ulnar nerve pain. Your doctor will let you undergo a series of tests depending on your condition and treatments may vary from medications to physical therapy. Similarly, the damage of the median nerve may cause pain in your forearm, wrist, and hand. This median nerve emerges from the neck through the arm and passes the elbow before it splits into branches to control the thumb and other three fingers excluding the pinky finger. Median nerve pain includes difficulty or inability to move the hands or flex the wrist, tingling and numbness of the forearm, hand, or wrist, and weakness of the thumb as its symptoms. This may be caused by extreme pressure on the nerves from bleeding or inflammation in the area. 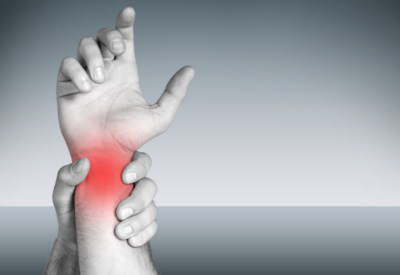 The more common injuries that involve the median nerve are the Carpal Tunnel Syndrome and Pronator Teres Syndrome. The best way to treat the same is by resolving the initial injury that causes the pain of your median nerve. This may sound unfamiliar to many people, but yes, facial nerve pain is real. There are many people who suffer from facial pain that includes pain from the nerves on our faces. Facial nerve is one of the 12 cranial nerves and may be found on each side of the faces. Its function is to control our facial expressions. The most common condition is the Trigeminal Neuralgia that affects the trigeminal nerve, which is among the largest nerves in the head. The trigeminal nerve is responsible for the sensation that we feel in our face including the forehead, area around the eyes, gums, and jaw. Trigeminal nerve pain is characterized by the intermittent and sharp pain in the face, which may be caused by a blood vessel pressing on the nerve near the brain. It arises at a usually unpredictable time that interferes with your daily activities depriving you of sleep and affecting your appetite. In most cases, you will feel the pain in only one side of the face. Other causes of a facial nerve problem are trauma, infection, tumor, toxins, trauma, and Bell’s palsy. Considering that the pain runs deep, it is best to consult your doctor to prevent the condition from getting worse. Somehow related to facial nerve pain is the tooth nerve pain. It may be in the form of toothache where the root nerve of the tooth is irritated. Regardless of what causes the nerve pain in your tooth or teeth, there are several dental procedures that may be performed to solve your tooth problem, which could either be filling or root canal. The procedure, however, varies if it is caused by a simple cavity or there is severe infection or decay. In some cases, nerve damage outside the dental area may radiate to the mouth and gives an impression that it is a tooth pain. This can only be prevented by proper and regular dental care. Treatment will differ depending on the condition. If you have been feeling some pain in the back, then pay attention as this might just save you from worsening your condition. Your condition might be that one known as sciatic nerve pain, which generally occurs as a lower back nerve pain. Sciatic nerve is the largest nerve in the body that comes out from the spinal column and travels down to the thighs and legs. When there is pain along the path of the sciatic nerve, then that is Sciatica. Sciatica is characterized by a wide range of pain from mild to the debilitating and excruciating pain. Along with the stabbing pain, one may also feel weakness of his or her muscles. Sciatic nerve pain causes include herniated disc and spinal stenosis by reason of compression. The degenerative disc disease, which often comes as a person ages, as well as irritation of the nerves because of the piriformis muscle, may also be the possible reasons why you are suffering from a nerve pain in the back. Even tumor, osteoarthritis, muscle strain, and weight gain exposes you to the risk of a sciatic nerve pain. The weight gain includes pregnancy. With your increased weight and shift in the center of your gravity by reason physical changes, you are more likely to experience sciatic nerve pain during pregnancy. There are many ways on how to treat sciatic nerve pain, which largely depends on the condition of your back. The best treatment for sciatic nerve pain, especially if you are pregnant, is by consulting your doctor. Your doctor knows what is best for your situation as you may need immediate medical intervention so as not to aggravate the pain. In more serious cases, procedure like physiotherapy, traction, injection, chiropractic therapy, and surgery may be needed. Once any of the symptoms of sciatic nerve pain arises, it is best to visit your doctor. Apart from medical intervention, there are self-care treatments available for the person in need of a sciatic nerve pain relief. Getting some rest from intensive activities may help alleviate the pain. Application of cold and heat and use of ergonomic chairs and right mattresses are your other options. 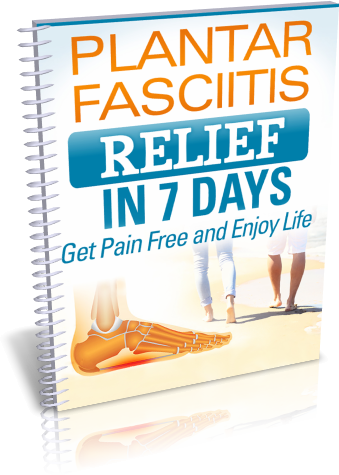 There are also sciatic nerve pain exercises or sciatic nerve pain stretches that you can do to manage the discomfort or pain. These are particularly helpful for pregnant women, provided a prior approval of the doctor. While the sciatic nerve pain is common and familiar to many people, the femoral nerve pain rests on the contrary. The femoral nerve is located on the leg, which aids the muscles to move the hip and straighten the leg. It is responsible for the sensation on the front of the thigh and part of the lower leg. While the femoral nerve pain may be not as known as the sciatic nerve pain, the former can be as alarming as the latter. The said condition may injure the femoral artery or vein, which could result to bleeding. The pain in your femoral nerve is considered as mononeuropathy, which means there is damage to a single nerve. The femoral nerve damage may be a reason why your quadriceps muscles may be weak. It also involves debilitating pain. There are different causes of the femoral nerve pain. It could be due to a trauma from an injury, compression of the nerve, or prolonged pressure on the femoral nerve. It may also be an incidental damage if you have diabetes or broken pelvis bone. As a primary move, when you experience any of the symptoms of a femoral nerve damage, it is highly recommended and even mandatory to have yourself checked. The doctor will perform some tests like nerve conduction test and MRI. To permanently resolve the condition, the ideal way is to cure or treat the cause of the damage itself in cases especially that it usually comes only as a secondary damage. If it is diabetes that is causing the femoral nerve pain, you may want to watch what you eat and try to lose some weight. Another condition that may prevent you from your usual routine or movement, especially if you are living an active lifestyle, is the leg nerve pain. The nerve pain in leg may be for a variety of reasons. But, one thing is for sure, the debilitating pain reduces the quality of life and may prevent you from doing most of your activities. This will need immediate and quick response so as to speed up recovery and so as not to worsen the situation. One reason of the leg nerve pain is the sciatic nerve pain. While sciatica, generally, affects the lower back, it may also bring discomfort and pain to either of your legs, or in rare cases, to both legs. This is because the sciatic nerve, which is made up of nerve roots, travels from the spinal column through the legs and down to your feet. No wonder why sciatic nerve pain may result to the pain in your legs. It usually occurs on only one leg, but in rare situation, you may feel the pain in your both legs. Sciatica also brings nerve pain in foot. A tingling or burning sensation in the legs can be the earliest sign of a nerve damage. Apart from the tingling or burning sensation, the legs tend to numb eventually and may result to balance difficulty or loss. Another condition that may cause some discomfort in the leg and foot area is the Peroneal nerve pain. The peroneal nerve is essential in supplying movement and sensation to the lower leg including the foot and toes. This may come at any age. The peroneal neuropathy is actually the most common dysfunction concerning the lower extremities and the exposed to injury because of trauma to the knee or thigh. It branches off the sciatic nerve on the thigh and finds its path downwards. The peroneal nerve is classified into two: superficial and deep. The superficial peroneal nerve gives feeling to the calf and top of the foot, while the deep peroneal nerve supplies sensation to the area between the first two toes. You will know if you may have a peroneal nerve damage if you experience difficulty in walking, weakness of the feet, and numbness. Its causes include fracture of the fibula, trauma to the knee, and pressure to the knee. The peroneal nerve pain may also result from regularly crossing the legs or wearing high boots. If you are very thin or suffering from autoimmune disease or other nerve damage from alcohol use or diabetes, then you are prone to the same. The type of treatment that works to resolve your condition has something to do with the problem that caused the said injury. Tests like nerve conduction and electromyography will help determine your condition. Nerve pain is our body’s way that something is wrong. Any nerve pain in the body depending on which area is affected has to be attended to with urgency especially if the same takes a long period of time to develop without early signs just like the diabetic nerve pain. I know that some of you might have just raised their eyebrows and asked what is a diabetic nerve pain. The diabetic nerve pain or diabetic neuropathy is a nerve disorder caused by diabetes. This means that when you have diabetes, you are more likely to suffer from diabetic nerve pain. The alarming part, however, is the fact that it may take years for the nerve damage to develop but with no signs at all. So when the time comes you feel the diabetic nerve pain, it means that the nerves might have been damaged for a long time without you knowing. The diabetic nerve pain begins with a tingling or numbness in the feet. Eventually, you will feel the same with your hands. Early symptoms may be treated with sugar control. The diabetic nerve damage is primarily caused by diabetes. Other factors that must be considered are neurovascular factors, autoimmune, inherited traits, and lifestyle. Like other types of nerve pain, there are also ways to alleviate the discomfort or pain. The earlier, the better. When you know that you have diabetes, it is best to control your sugar and have yourself checked. Remember that signs may appear in the later part, of which it may be difficult to treat or recover. If you have medication from your doctor, then you have to follow eat. Exercising and eating a well-balanced or healthy diet will likewise help control your sugar level. Over-the-counter pain relievers may also help as well as warm bath, relaxation, and proper feet care. Shingles, otherwise known as herpes zoster, is a viral infection that causes painful rashes that appears with blisters. The pain may last for months or years. When the shingles go away, the person will experience what is called as Postherpetic Neuralgia, a pain that results from shingles virus wherein it damages the nerves of the skin. When there is shingles, there is inflammation of the nerves resulting to pain. It can be a mild pain or sensitive and severe one. Studies suggest that the virus from most people who have suffered from chicken pox does not really go away, it stays dormant. For others, the virus reappears and when it comes back, the person may suffer from shingles. The symptoms include headache, sensitivity to light, itching, and other flu-like symptoms. It gradually eases and disappears with some people recovering from the pain after three months, while others take more than a year before the pain goes away. 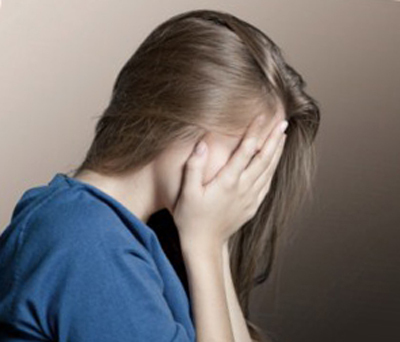 There are over-the-counter painkillers and antidepressant medicines that may ease the pain. Anti-itch medications also help you get a good sleep at night. The body is composed of nerves that are responsible to transmit information from the muscles to the brain and spinal column and vice versa. Treating the nerves will require varying procedures or ways as you have to take into consideration which nerve and in what part of the body is affected. There are nerve pain medications available over-the-counter, while other medicines are available yet regulated. For less serious or mild pains, while it is still advisable to seek the doctor’s advice, there are nerve pain reliefs that any person may do. As aforementioned in the preceding sections, rest is of high importance. Most nerve pains are caused by compression or overstretching, thus giving your nerves a time to rest or recover will ease the pain. Application of ice or heat may add relief in certain cases. There are also essential oils for nerve pain that you may use to relieve inflammation and pain. These oils have healing properties linked with nerve damage. Among the essential oils you can use are the Lavender, Chamomile, Peppermint, Helichrysum, or combination of these oils. In conclusion, it is of prime importance that we check our body for any pain or discomfort. One should not underestimate any unusual feeling like a simple tingling or burning sensation or numbness. As it has been repeatedly discussed, a nerve pain is one of the body’s many ways of telling us that something is wrong and you should pay attention. For all we know, the nerve pain is just a secondary or incidental pain to a much more serious or worse condition.